Earlier this week we posted a study reinforcing the importance of engagement and noting that most brands will lose lots of new followers if they fail to do it properly. This is a great piece of shareable behavioral data—and note the social media manager’s response to followers. 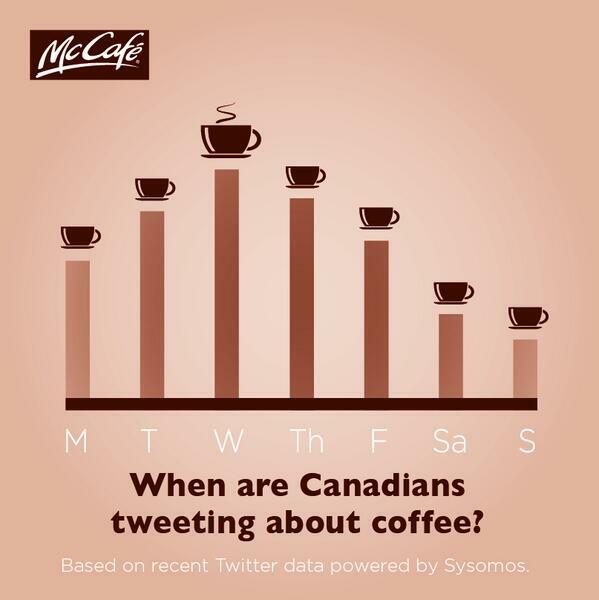 While the numbers aren’t Ellen-worthy, it was more effective than a simple announcement of the #FreeCoffee promo. The point is that people love to learn more about themselves. On another, not-completely-unrelated note, this week The New York Times confirmed what we all knew: people love games and interactive content. Case(s) in point: Slate’s “Travoltify Your Name” piece and TIME’s January “How Much Time Have You Wasted on Facebook” story both broke all traffic records for their respective sites [Ed note: I got “Patryk Crawzford”]. While these articles were both editorial, the same principle applies to branded content on social: give followers a reason to engage and they will. While pics of food and coupon offers will almost always earn more likes and shares than other posts, they don’t encourage much in the way of active engagement. For another, more basic example of direct interaction with followers, look no further than Wendy’s, the winner of a recent “most engaged restaurant brands” survey. @designZOMBIE Oh, the VIP treatment? What sorts of content score the best numbers for your clients?